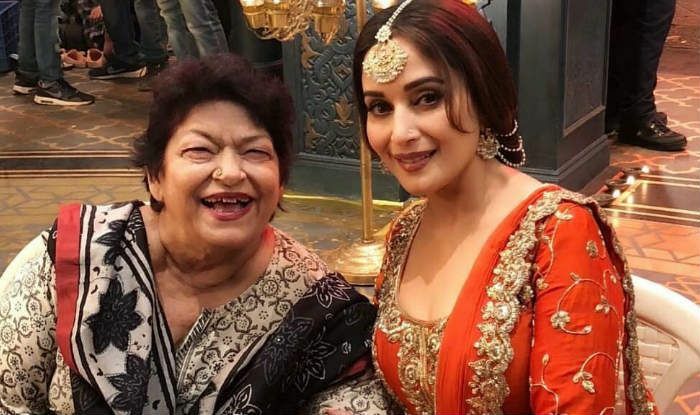 Madhuri Dixit talks about the relevance and importance of classical dance, and the beauty of her song Tabaah Ho Gaye, choreographed by Saroj Khan in Kalank. Tabaah Ho Gaye, the stunning solo number featuring actor Madhuri Dixit from Kalank is going to be out today, April 9. The film stars the actor in the role of Bahaar Begum. Ahead of the release of the big song, Madhuri talked to a news agency and gave away details about the beauty of the classical dance and how reuniting with choreographer Saroj Khan created wonders on screen. During a promotional interaction with IANS, the actor praised Master Ji, with whom she has collaborated on various popular dance numbers in the past. Madhuri Dixit said that Saroj Khan understands the nuances of dance like no one else. She said that while other choreographers design a dance step keeping the camera angle in mind, she also takes care of the lyrics and expressions. Madhuri explained that the songs designed by Khan look so effortless that even today the youngsters don’t shy away from emulating her steps. Madhuri also talked about the importance of Tabaah Ho Gaye in the narrative of Kalank. She said that the song comes at a very ‘poignant’ time in the narration when the ‘back stories of each character are unfolding.’ The actor also opened up on the relevance and popularity of a classical number like Tabah Ho Gaye and Ghar More Pardesiya for today’s generation. She said she refuses to believe that youth today don’t enjoy watching or learning classical dance. 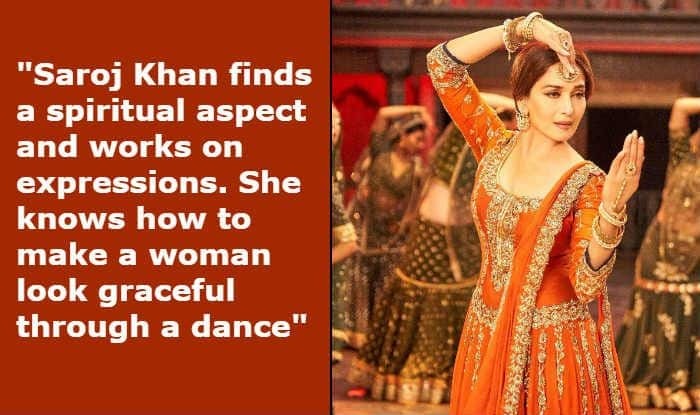 Madhuri, who is herself a trained Kathak dancer, said that people are loving Alia Bhatt‘s dance performance on Ghar More Pardesiya and that alone shows if a song is well choreographed, the audience is going to love it irrespective of the dance form. Apart from Madhuri, Kalank also features Sanjay Dutt, Varun Dhawan, Aditya Roy Kapur, Sonakshi Sinha and Alia Bhatt in important roles. The film is directed by Abhishek Varman and co-produced by Karan Johar and Sajid Nadiadwala. Kalank hits the screens on April 17.